Despite the rosy picture painted in the ads of a miracle cure for high cholesterol and its attendant heart disease, the reality of taking statins may be far less pretty. 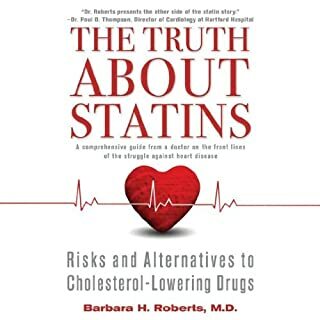 Dr. Barbara H. Roberts, director of the Women’s Cardiac Center at the Miriam Hospital in Rhode Island, discusses both the benefits and health risks of these popular drugs in this comprehensive guide that finally reveals the questionable science behind the research studies. This honest, patient-friendly appraisal of the most widely used medications in the world may shock you, but it may also save your life. Hilarious Debunking of the "Heart Healthy Diet"
If you're one of over 100 million people in America that struggle with high cholesterol then I have good news for you! You about to learn step-by-step how to... ...Live longer and healthier by lowering your cholesterol naturally. If you can follow a set of simple instructions you can lower your cholesterol naturally without the use of statin drugs. Download this simple step-by-step guide now to get started! Heart disease is the #1 killer. However, traditional heart disease protocols - with their emphasis on lowering cholesterol - have it all wrong. Emerging science is showing that cholesterol levels are a poor predictor of heart disease and that standard prescriptions for lowering it, such as ineffective low-fat/high-carb diets and serious, side-effect-causing statin drugs, obscure the real causes of heart disease. Even doctors at leading institutions have been misled for years based on creative reporting of research results from pharmaceutical companies intent on supporting the $31-billion-a-year cholesterol-lowering drug industry. Bestselling health authors Jonny Bowden, Ph.D., and Stephen Sinatra, M.D. give listeners a four-part strategy based on the latest studies and clinical findings for effectively preventing, managing, and reversing heart disease, focusing on diet, exercise, supplements, and stress and anger management. 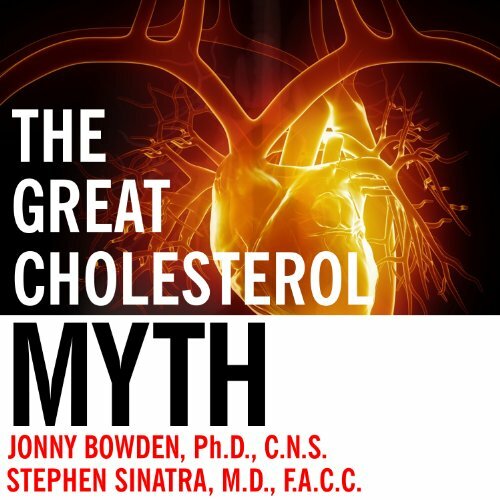 Where does The Great Cholesterol Myth rank among all the audiobooks you’ve listened to so far? While I mostly listen to fiction books I have a long standing interest in books about food and healthy living. I've read/listened to books from Pollan, Hyman, Taubes, Schlosser and more. This one is right up there with the best of them. It includes real research on both sides of the cholesterol/fat debate. In addition they do a good job explaining how some research has been "interpreted" which helps to frame the explanation of how we got to where we are when it comes to eating right. This book isn't a story (exactly) but the authors did a great job making the science easy to grasp. They acknowledge the parts that can cause eyes to glaze over and summarize these concepts very accurately. Given the nature of this material they still did a good job keeping it entertaining without detracting from the quality of the book. There were a few parts that did get a chuckle out of me and I think that speaks to how well the authors managed to deliver their message. Glycation, oxidization, metabolism and other such concepts are not innately entertaining to most people. This book kept my attention and didn't bore me. I found it very interesting and if I had never read another book about this subject I would have been astounded at how inaccurate the common perceptions of heart health are. For most of my life I was trying to "eat healthy" and seemed to only gain more weight no matter how much I excercised or avoided "bad foods". I was a vegetarian for seven years and even that made me gain weight and upped my triglycerides. 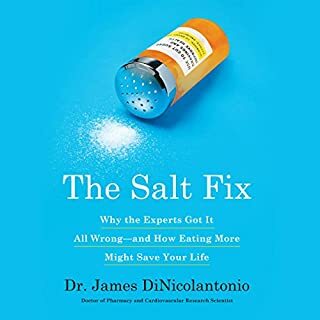 Thanks to this book and others like it I have gradually come around to realizing that sugar (in every processed form) is really the true "bad food". This book represents a solid explanation of how the common knowledge and dietary advice is contributing to "western diseases". I feel that books like this should be required reading for every physician that is in business to keep people well and not just sell them the newest prescriptions. For many people, a diet with an "inverted pyramid" focused on vegetables, fruits and whole grains is de rigueur. I'm not sure this book will push these people far from that "inverted pyramid". However, for certain classes of these healthy eaters, this book seems to have some well-documented items to think about. High triglycerides and low HDL cholesterol are one class of people the author singles out as potentially having to make dietary changes. Sugar is named as the driving factor behind the triglycerides. The key for the author is the inflammatory effects of weight and sugar on the body. The author cites multiple studies that describe high triglycerides and low HDL as a dangerous condition. His recipe is cut the sugar and preprocessed foods, monitor progress with a number of specific tests, and consider the potential of specific supplements. The author considers this condition more dangerous than high LDL cholesterol yet many doctors would view this type of patient with ambivalence all else being equal. If this describes you and your doctor is not concerned, you may want to read the book and consider making some changes. Another group of folks are folks who consume an imbalance of Omega 6s versus Omega 3 fats. Lots of folks with an under control LDL have some degree of ambivalence with regard to fats. 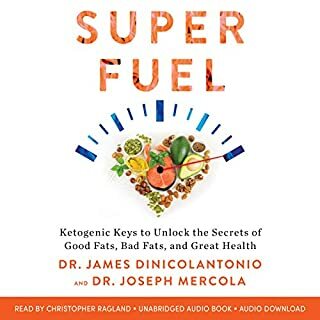 This book tells those folks to pay more attention to the type of fats they consume and considers Omega6 versus Omega 3 to be pretty highly inflammatory. Again this class of person should read the book, read the citations, and think about taking action (which is spelled out in dietary recommendations, tests, and potential supplements). For healthy eaters who try to manage their health by understanding the impact of diet on the body this book is highly recommended. 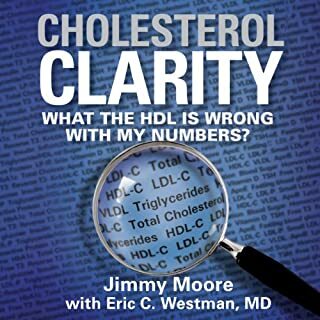 This book will challenge many preconceptions you might have about the importance of cholesterol and will challenge you to think more deeply about the impact of sugar and inflammation on health. It will also recommend that you study different types of cholesterol than is customary right now. It will give you a list of specific tests that will help you gauge inflammation in your body. It will also recommend a list of supplements that may be effective depending upon your particular situation. 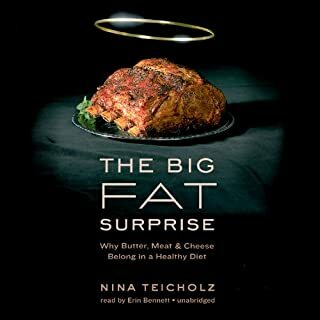 For unhealthy eaters, this book is also highly recommended as it puts a focus on sugar (and processed foods) not so much on fats and cholesterol. While the book is somewhat controversial in that it worries far less on the impact of cholesterol on health, for most folks I know who have unhealthy diets... sugar is their real problem. I believe a focus on sugar... reducing the dependence that many have on sugar is a surer first step to a healthy life than a focus on cholesterol reduction. Not a doctor, not an unhealthy eater... but I believe this book is a must read for these folks. It made me angry at the FDA, the government and food companies, not to mention doctors and big pharma. We have been hoodwinked for so long, follow the money. This book made me so mad that I started listening to all kinds of nutrition books to educate myself and within 9 months I lost 56 lbs and feel 15 years younger. I ditched the bp and cholesterol meds with approval of my doctor and all my aches and pains disappeared. I ended up following bits and pieces of many lifestyle diets but mainly followed Wheat Belly, Atkins and The Perfect Health Diet. I am now whole fat, somewhat low carb but my carbs come mainly from root vegetables, potatoes, wild rice and NOT bread, processed foods or flour products. I even gave up coffee and switched to tea once or twice a day. I added yoga classes twice a week about 2 months into my lifestyle change and now I am slimmer and healthier and have a lot more energy. This book was the beginning to my road to a healthier body and a better lifestyle diet. I am 56 years old and proved to myself that my age and menopause are not to blame for being overweight and feeling overall crappy, it was my food choices and believe it or not, I was not a big junk eater but I did eat a lot of whole grains, whole wheats, oatmeal and so called healthier cereals, ha ha, what a mistake that was. My weight went from 202 to 146 in 9 months and I can do shoulder stands in yoga, now that is a big accomplishment for a 56 year old woman who had knees so bad she wished she had crutches just a little over a year ago. If you could sum up The Great Cholesterol Myth in three words, what would they be? Pure science, verifiable with references to primary, published, peer reviewed research. The authors proved their points many different ways to drive their message home. What does George K. Wilson bring to the story that you wouldn’t experience if you just read the book? He personifies the authority of the authors. Yes. There was so much useful information, you wanted it all right-away. The authors missed an opportunity to directly address cholesterol's role in making heart disease worse if inflammatory factors are present. They also failed to mention cases where cholesterol does have a primary role in arterial sclerosis as in familial hypercholesterolemia. In addition, they probably should have addressed whether statins that traverse the blood-brain barrier have as large of a cognitive risk as those that don't. I have contacted the authors in hopes that they will address these issues in future additions. On the very positive side, they minimize the use of anecdotal evidence to justify points, unlike many new age, pseudoscience books. It's easier to successfully find fault than it is to find new correct solutions. So is the case with The Great Cholesterol Myth. While the authors appropriately acknowledge that there's some truth to the myth -- the data do show that cholesterol does matter for middle-aged white males with heart conditions -- the medical establishment has vastly over extrapolated from these findings to conclude that lowering cholesterol levels for huge portions of the population is a good thing -- and that any side-effects aren't worth paying attention to. I have first-hand experience with this. A couple of years ago I developed a textbook case of walkthrough angina so obvious I could diagnose myself with a simple internet search, but I dutifully followed my GP's orders to go to the cardiologist and have multiple tests done, whereupon the cardiologist concluded "you have a textbook case of walkthrough angina." He went on to prescribe the "standard treatment" of beta blockers to "lower my high blood pressure" and statins to "lower my high cholesterol". I first replied, "I don't have high blood pressure". The cardiologist then looks at my chart and reads the blood pressure readings that have been taken at the beginning of each of my visits. They're actually on the low side. Disregarding my response and his own assistant's work, he takes my blood pressure himself and concludes that I don't have high blood pressure and don't need the beta blockers. I then say I don't have high cholesterol. He pulls those data too, then protests that they're several months old. I respond that I've never had high cholesterol. He says I should take statins anyway. I decline. He unhappily shrugs and indicates we're done. Of course there was never a discussion about diet as a way to lower cholesterol. I've read everything I can find on "walkthrough angina". It's uncommon, untreatable, and it has a small negative correlation with having a heart attack such that it is believed to be a protective mechanism. It's annoying, but benign. Statins and beta blockers have side effects, yet there was a knee-jerk reaction to prescribe them. Perhaps that's because of the biggest side-effect of all: It makes money for cardiologists and pharmaceutical companies, a fact clearly pointed out by the authors. Pointing out that the emperor has no clothes is the easy part. The hard part is what to do about heart conditions. The authors go on to cover some more respected and more speculative recommendations about diet and lifestyle, then they get deep into recommending supplements -- not coincidentally supplements that have author Dr. Sinatra's name on them, and for which the supporting evidence is spotty. Maybe some of the work some of the time. I even bought one to try. But I'm skeptical, and you should be too. Do your own research, get dissenting views, and don't just take the authors' word on everything here, especially as they gain financially from your doing so. ...who have been led down the wrong path by the medical establishment and big pharma. It's a great partner to "Why We Get Fat." I have to say, this was not all what I was expecting. I thought that this book would be boring. However, the writers, both of them ad the narrator made the book a very enjoyable read. The facts are interesting and it was written in a way that I;m sure everyone would understand without any problem. The theories mentioned in this book is well supported and well explained. The various personal stories of the authors also goes a great way making the book enjoyable. The narrator does a fabulous job in reading too. He use an easy pace and a varying tone that helps to engage the reader. Try it, it may be better than you think. Very interesting info on diets and cholesterol. I just wish someone else was reading it. Eye opener! Everyone should read it! Absolutely. It contains revolutionary information that everybody should know. This book is an essential resource for anyone looking to improve their general health. It highlights some serious issues in the current dogma surrounding nutrition and healthy diets. 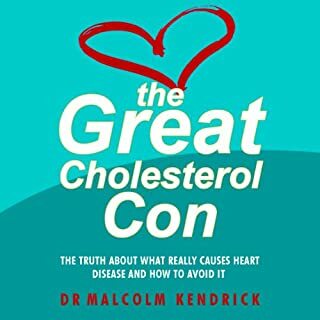 As a society we now place too great an emphasis on avoiding evil cholesterol and this book attempts to challenge the thinking and Science behind that advice. A truly informative and eye-opening listen. It has seriously impacted upon the way I eat and lead my life... and definitely for the better! Beat the scammers and fraudulent profiteers in the food and pharmaceutical industries. Life-saving, life changing knowledge.